New Delhi : Elon Musk, CEO of SpaceX, has revealed first look of new spacesuit design via his official Instagram page. The suit has been made by his company. While unveiling the spacesuit, Musk wrote on Twitter: "First picture of SpaceX spacesuit. More in days to follow. Worth noting that this actually works (not a mockup). Already tested to double vacuum pressure. Was incredibly hard to balance esthetics and function. Easy to do either separately." 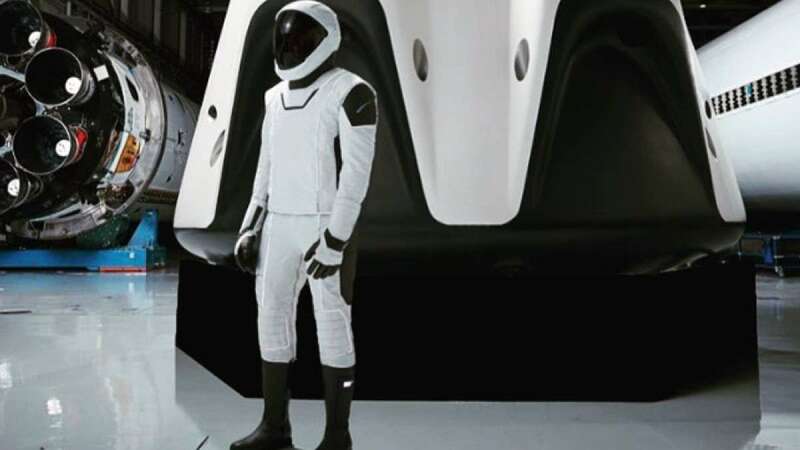 In the picture, Musk can be seen standing next to the SpaceX's Crew Dragon capsule, which will be used in future to transport astronauts to International Space Station for NASA. This is the second photo shared by Musk of the new spacesuit design which features the full body look. In the first photo, shared in late August, he had focused on the head and shoulders of the outfit, depicting the full tinted face mask of the helmet, and the angular shoulders and black and white design. The new spacesuit looks less bulky and hassle free compared to the ones which are used by the astronauts in present. CEO Elon Musk's spaceX, a rocket-producing firm, raised around USD 350 million in its latest round of funding, thus taking over as the world's most valuable privately-held firm. With this new feat, SpaceX is all set to join the USD 20 million bandwagon of companies, as it is now valued at USD 21 billion, according to a report published by the New York Times.